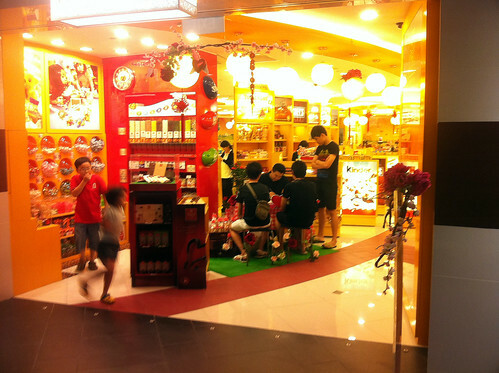 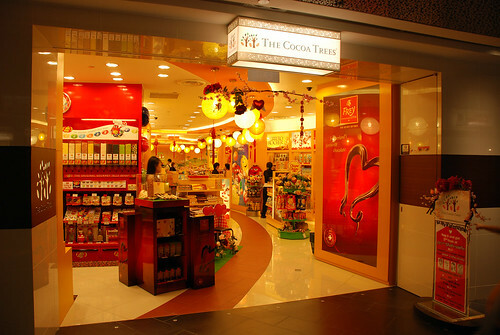 Second session at The Cocoa Trees new outlet at ION Orchard, 6-8pm. 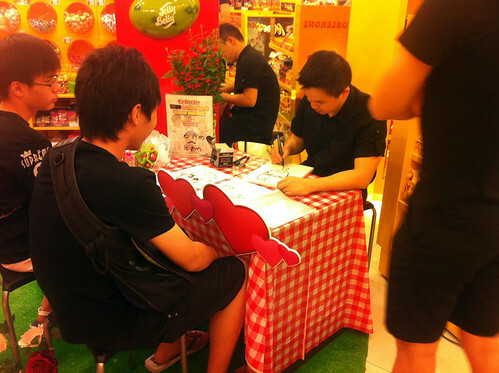 Me in action, sketching a customer of The Cocoa Trees. 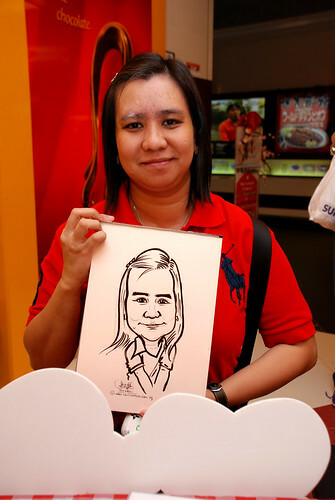 A glimpse of my live sketching in this video clip. 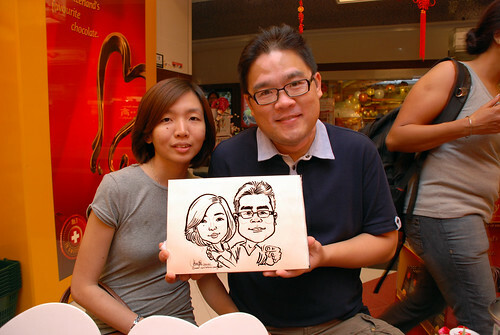 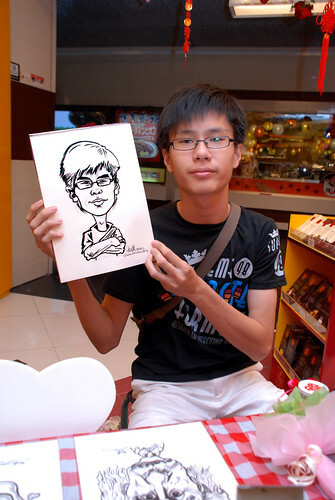 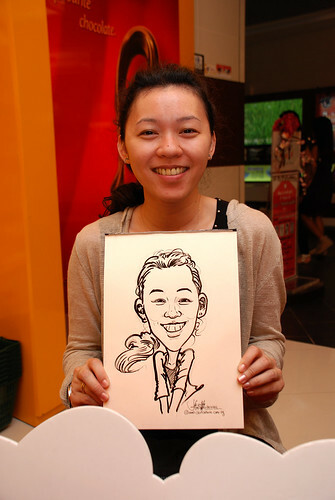 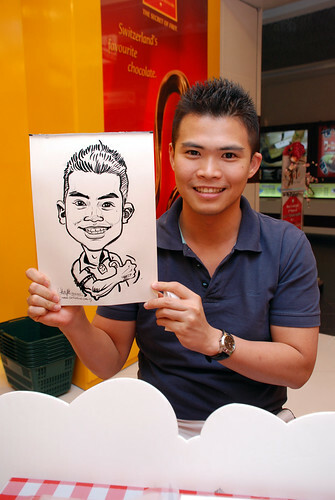 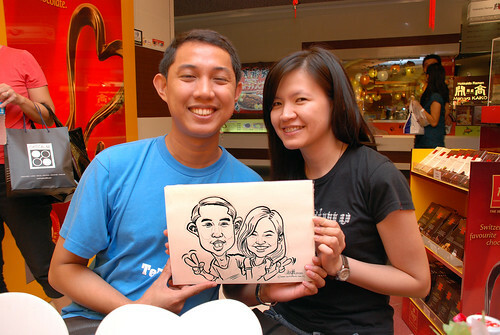 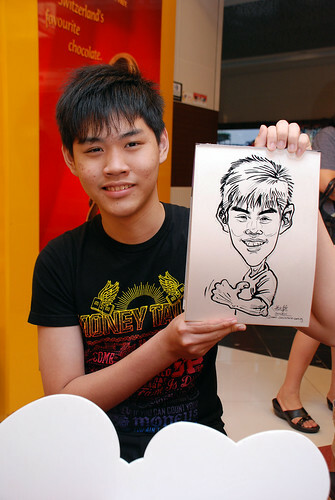 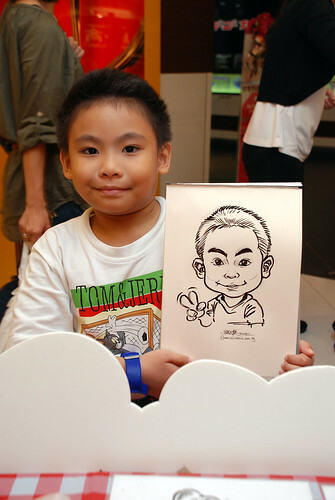 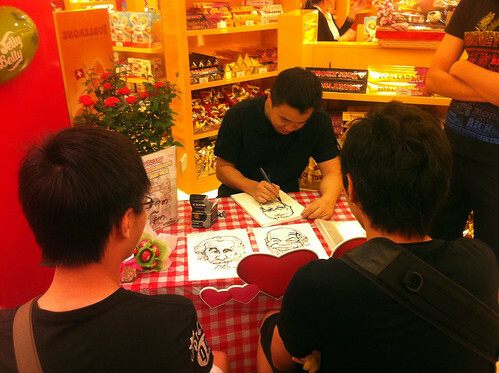 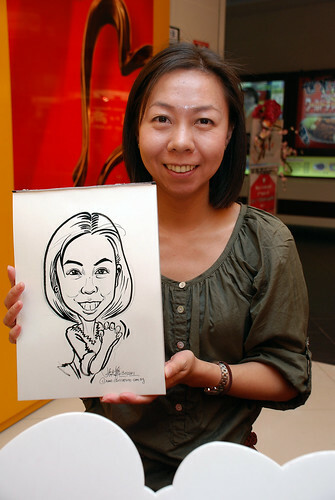 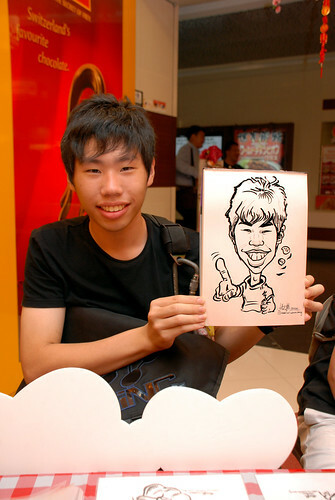 This guy purchased some chocolates from the shop, to get his caricature done, after seeing his friends' caricatures by me.